Have you lost your PAN card? The Income Tax Department enables PAN or Permanent Account Number holders to verify their personal identification number online. PAN is a 10-character alphanumeric number issued to income tax assessees, and is used by the taxman to identify them. 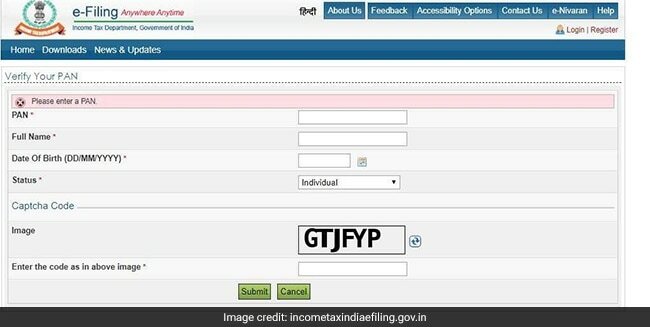 The user is required to enter details such as name, date of birth and PAN (available with him or her) to verify if the same is valid or not, according to Income Tax Department’s e-filing portal – incometaxindiaefiling.gov.in.